Editor’s Note: Estron provided the Linum SUPER BaX 2Pin Balanced prototype in this review, originally for internal feedback purposes. 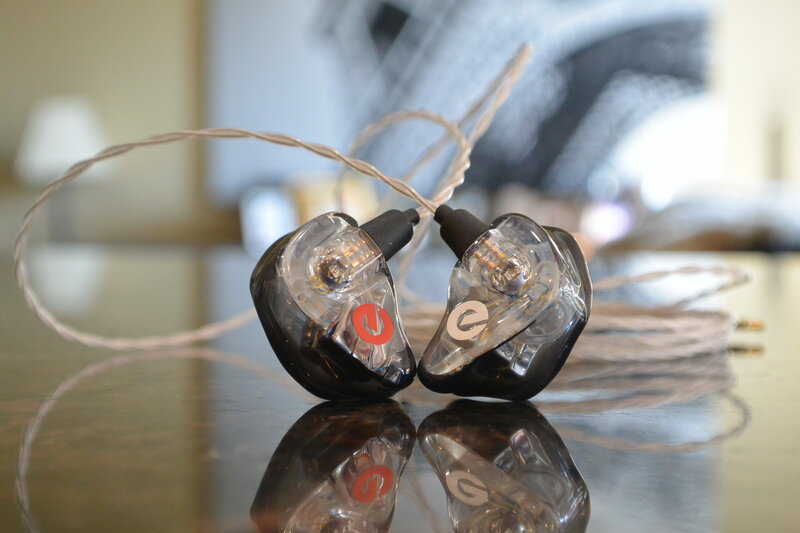 Last September, I had the opportunity to test and review the upcoming Estron Linum Balanced BaX in-ear monitor cable (read review here). Since then, I’ve had opportunity to own a few single-ended Linum BaX cables that came as options with various custom in-ears I’ve purchased this past year. 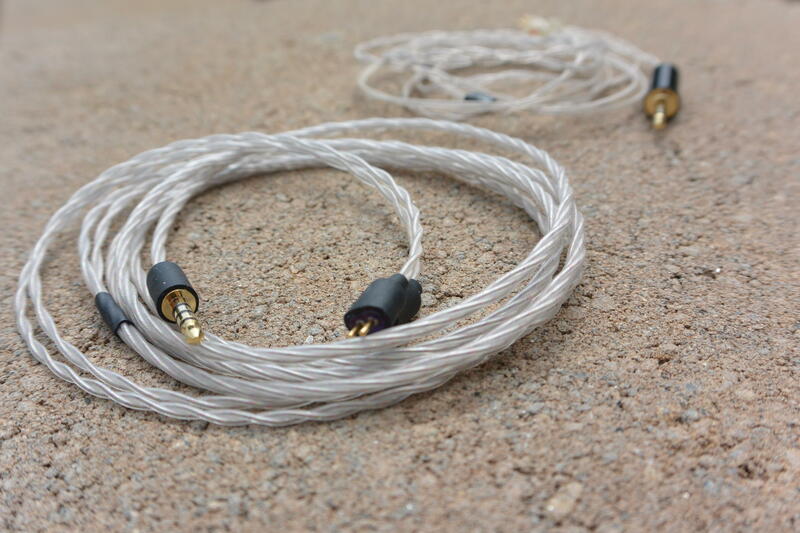 Linum cables are some of the thinnest, if not the thinnest, in-ear monitor cables on the market. They’re great for their light weight on the ear and almost invisible in use. However, there has been one big, consistent knock on them: The Tangles! The current BaX is simply very tangle-prone. Once you put your monitors in storage, there is no telling how long it will take you to sort out the tangles you are bound to find the next time you use them. Some productions runs do have a natural coiling action that can help when storing (video of coiling action here) it. Of the four different BaX cables I’ve had in my possession, the only one that demonstrated this natural coiling action was the one that came with my Cosmic Ears CE6P. While it certainly tangled less often, it was not completely tangle free and storage took longer, as you can’t just quickly wrap the cables around your fingers and go. The natural coiling action requires a little extra time and effort. Another potential issue, for some users, with the current BaX is the DC (resistive) impedance. 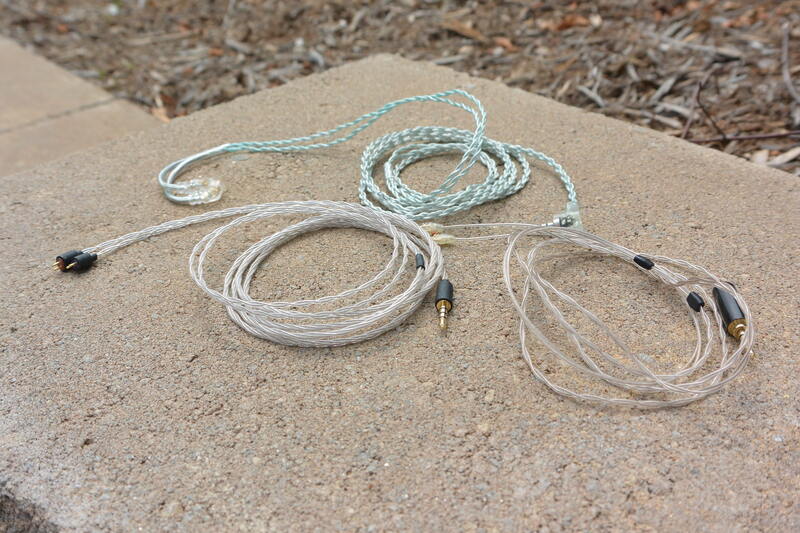 The current model has an impedance of 1.5 Ω (other Linum models, Vocal and Music, have even higher impedance ratings). Ideally, for balanced armature based monitors, you’ll want the lowest amount of combined impedance in your listening chain, from the amplification stage through the monitor cable. In conjunction with the greater than 1 Ω output impedance of Astell and Kern players (estimated average of 3+ Ω) or modern day iPhones (estimated average of 2+ Ω), the 1.5 Ω impedance of the current BaX does impact the frequency response of my Ultimate Ears Reference Monitor (UERM), causing treble reduction and an overall unintended darker signature. Not all balanced armature based monitors will react the same, as individual product impedance curves will come into play. Super BaX and standard BaX. Everything just mentioned above is about to become completely irrelevant — enter the SUPER BaX. The SUPER BaX is currently in the prototype stage and Estron hasn’t yet set a production date for official release but did provide us a sample for feedback purposes before full production commences. Let me start by stating: the SUPER BaX is everything I wished the current BaX could have been and more. It is far superior to the original in every aspect and is a complete joy to use. I eagerly await for the SUPER BaX to begin production, as I will look to replace all my two-pin removable cables with it, once it becomes available. SUPER BaX pins and plugs with previous model (also prototype) comparison. The prototype provided was not created on their regular BaX production line. Instead it was put together by hand and thus missing some features that will ultimately become part of the production model. The missing features are overmolded pins and a neck/chin slider. The clear overmolded production pin connectors will be smaller and thinner than the DIY type black pin casings found on the prototype. The prototype was supplied in an Astell and Kern compatible 2.5mm balanced termination but my hope is that Estron will also produce a SUPER BaX variant in a 3.5mm single-ended termination as well for final production. The SUPER BaX is a quad core twisted wire design; in essence, it is double the thickness of the current dual core BaX model. Even at being double the thickness of the previous model, though, the SUPER BaX is still one of the thinnest and lightest cables on the market. Aside from logically improving durability with a quad-core design, the most important aspect of this change is the improvement in the tangling department, while losing absolutely nothing in flexibility. Let me rephrase: this cable isn’t just an improvement in being less tangle prone, the SUPER BaX is actually TANGLE FREE! I can store it any manner I choose and I am able to quickly have it ready for wear almost instantly. In use, there are no kinks or memory affects from storage that cause the cable to lay or wear oddly. It is simply the most care-free and user friendly cable I have ever used to date. Another very important change with the SUPER BaX is decreased DC impedance. The SUPER BaX, while doubling in size, has cut the DC impedance in half from the current model. The SUPER BaX manufacturer measured impedance is 0.75 Ω, down from the 1.5 Ω of the current BaX. This change should further minimize any impedance-related frequency response changes to all types of in-ear monitors. In short, I really love the SUPER BaX. It addresses all the criticisms I have of the current model and then improves on even more, so much so that I’m looking forward to replacing all my two-pin cables when the SUPER BaX is finally released. While the SUPER BaX is still in the prototype stage, I’ve been told by Estron that they are willing to hand-make some for sale if enough people contact them for purchase. Since they are handmade at this point (versus using their mass production line), I expect pricing to potentially be much higher for the handmade option compared to an actual production model. Either way, I cannot express enough how much more enjoyable the SUPER BaX makes wearing and using in-ear monitors. The Super Bax is what I want with my EarWerkz Legend Omega. I can’t order the Super Balanced due to my current Sony ZX2 DAP, would be too expensive/stupid for only that unique utility. It wouldn’t work with the upcoming Cavalli Carbon I ordered. Now the Fiio X7 and Cavalli Carbon would share the ALO/RSA Kobiconn, so getting the Super Balanced Bax would be efficient… provided of course Linum accepts that connector.